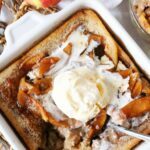 The Best Apple Pudding | Just Like Bread Pudding...Only Way Easier. You want a festive apple dessert that everyone will thoroughly enjoy, yet doesn’t take all day in the kitchen — you’ve come to the right place. 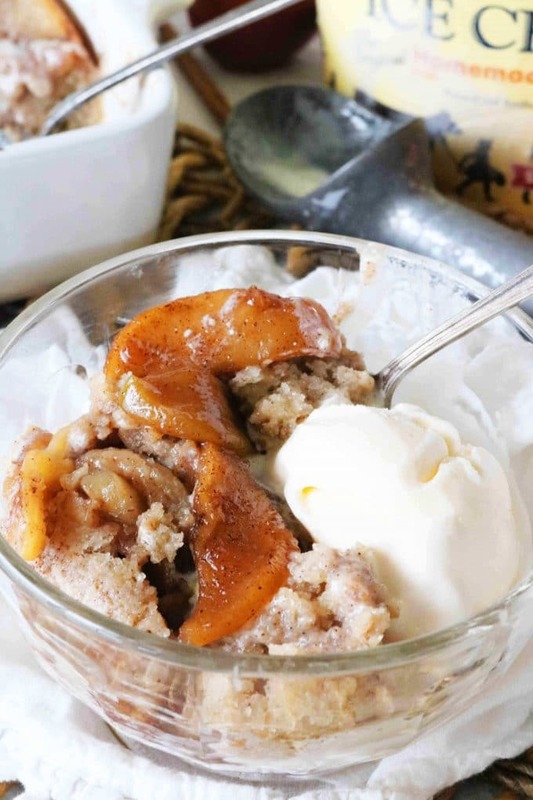 Apple Pudding is the perfect recipe to have on hand this time of year. It’s a quick-fix that’s decadently moist, loaded with big apple flavor, easy to make and tastes amazing. If you’re not yet familiar with this recipe, you’ll soon find out exactly what it is, just how easy it is to make, and why it deserves an everlasting spot on your dessert table. Behold, the best Apple Pudding Cake you’ve ever laid tastebuds on. 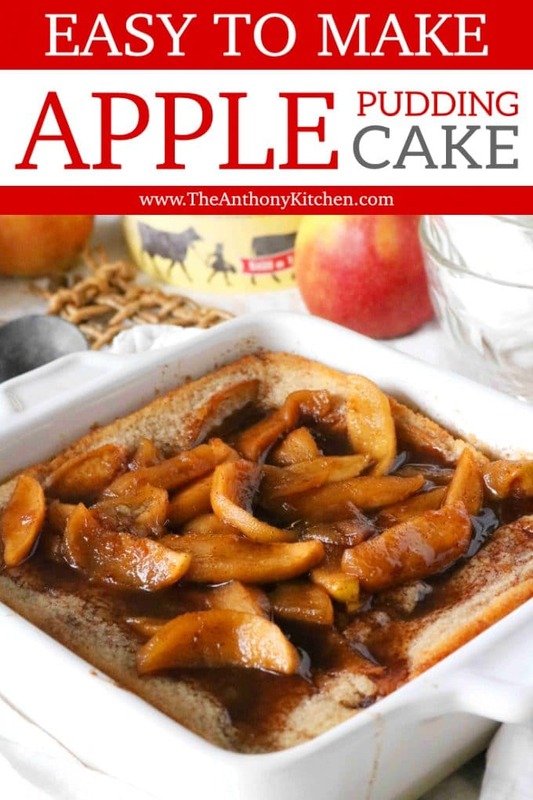 The base of the pudding-like cake is not only creamy and soft, it’s completely loaded with cinnamon-apple flavor. A winning combination for the fall…or any time of the year really. When I first uncovered this glorious dessert, I was a little taken aback by its simplicity. The recipe required only a simple batter and sliced apples. 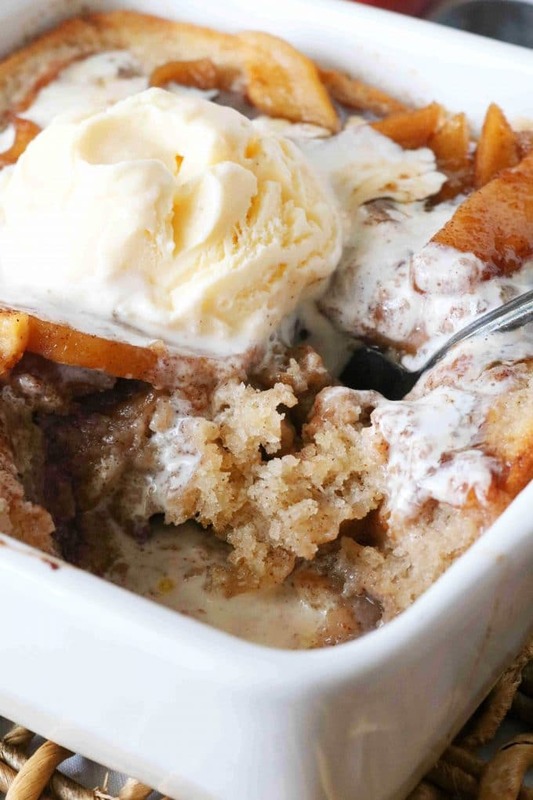 With the batter essentially being a dump and stir combo, I figured we could spare a few extra moments in the kitchen to make this an over-the-top, decadently gooey Apple Pudding. This is where the stovetop caramel apples came in. Stovetop apples are quick and easy to make, and they come out swimming in a heavenly caramel sauce. I’ve made these apples for years for my little girls, and they’ve yet to get old. I imagined how beautiful they would be on top of an Apple Pudding Cake. It was a simple, yet special touch, that took this dessert to the next level. The addition did not go unnoticed. Guests were already drooling at the scent of the cake alone, but once presented with its gooey cinnamon apple topping, there was no resisting. They raved over the final product and listened in disbelief as I told them how truly easy it was. The cake even received praise from those who, before taking a bite, claimed their opposition to fruit-laden desserts, and they all commented on its uncanny resemblance to Southern Bread Pudding. However, Apple Pudding comes together with far less work and much, much faster. Apple Pudding, which is actually much more of a cake than a pudding, usually has sliced apples either throughout the batter, on top of the cake, or both. It has the soft and tender crumb of a cake, and a moist, almost sticky bite very similar to bread pudding. Bread pudding is made up of crusty bread, usually contains 4-5 eggs to make up the custard, and must soak for hours before it is ready to bake. Apple pudding, on the other hand, begins with a very simple batter, most recipes don’t even call for eggs at all, and it can be assembled and baked in less than an hour. 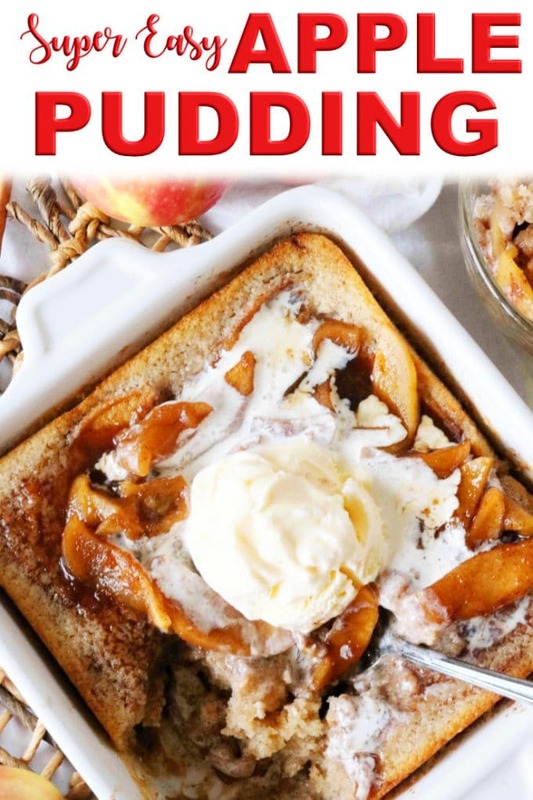 The point being, if you’re a fan of bread pudding, you are going to love Apple Pudding for its similarities in flavor and texture, but, even more so, for all of its quick and easy recipe advantages. This isn’t just any ol’ Apple Pudding Cake recipe. This one is the absolute best, and much of the credit is due to the apples themselves. Yes. Those cinnamon apples brought to your attention earlier. You know? The ones cloaked in a gooey homemade caramel sauce? Not only does this recipe feature apples running throughout the batter of the cake, there is a decadent addition on top as well. Apple pudding begins with apples. Naturally. Sliced apples go for a quick saute on the stovetop. Once they’ve had a few minutes to soften up, the sugar, water, and spices go in. The sugar melts down to create a perfectly gooey caramel sauce. Now, give yourself a pat on the back. You’re pretty much halfway done! The beautiful thing about this recipe, besides the flavor, of course, is its simplicity. The batter comes together in one single bowl. You’ll first mix together your dry ingredients, then add the wet. Stir it all together, and lastly, you’ll add half of the cinnamon apples, and give it one final stir. 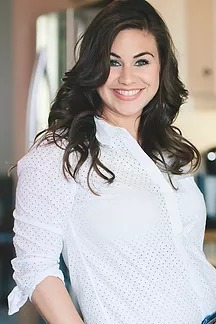 The batter is then transferred to an 8″ square baking dish, and the cake is ready after just 30 minutes or so in the oven when the center is set and the edges are a perfect golden-brown. Once the cake is ready, it’s the moment we’ve all been waiting for — the addition of that divine apple topping. 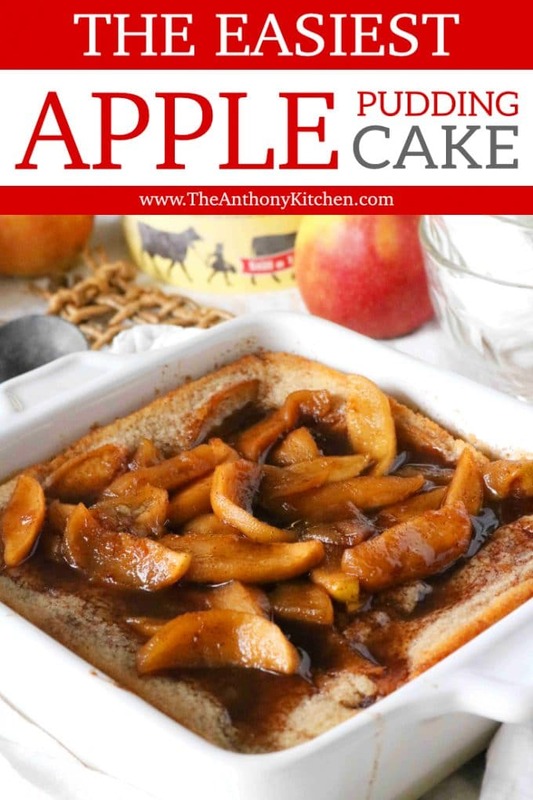 Poke holes across the top of the cake using either a toothpick or the tines of a fork, and evenly spoon the remaining apples, as well as the caramel sauce across the top. I know it’ll be tough, but give the cake just a moment to soak up all that caramel goodness, and then, get those spoons ready to dive right in. Easy Homemade Apple Pie keeps things simple with a minimalist approach without losing any of the flavor. The ingredients come together in just the right way, and ultimately yielding an absolutely perfect Homemade Apple Pie. If you’re a fan of caramel apples, you are going to swoon for Baked Brie with Apples and Walnuts. Gooey, melty baked brie topped with diced apples and crunchy walnuts, all smothered in a bubbly, luscious caramel sauce. Looking for a quick-fix appetizer that takes less than 10 minutes to prepare? You’re going to want to get your mitts on this Caramel Apple Dip with Cream Cheese. With its sweet cheesecake-like base, caramel topping, and chopped chocolate toffee, this dip will have your guests coming back again, and again…and again. 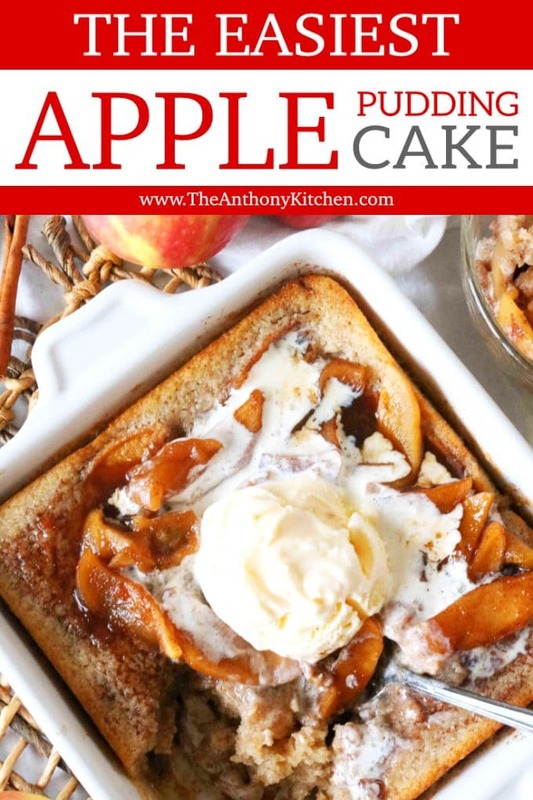 An easy, creamy and soft apple pudding cake loaded with cinnamon-apple flavor! Preheat the oven to 350° and have ready a greased 8"x8" square baking dish. Add 2 tablespoons of butter to a large sauté pan over medium-high heat. As soon as the butter has melted, add the sliced apples. Sauté the apples for 2-3 minutes, just until a little color starts to develop. Add the water, brown sugar, 1 1/4 teaspoon ground cinnamon, and a generous pinch of salt to the pan, and stir to combine. Allow to cook 5-7 minutes longer, stirring often, until the apples have softened and the sauce has thickened. Set aside until ready to use. Melt the remaining 10 tablespoons of butter in a microwave-safe dish. Set aside until ready to use. In a large mixing bowl, whisk together flour, sugar, baking powder, the remaining 1 teaspoon of cinnamon and 3/4 teaspoon of salt. Stir in milk, followed by the melted butter and vanilla. Using a slotted spoon, add about half of the cooked apples to the batter and stir once more. Do not add the sauce at this time. Set remaining apples and sauce aside. Transfer the batter to the baking dish and bake for 30-35 minutes, just until the center is set and the edges are golden. Remove from the oven, poke holes across the top using either a toothpick or the tines of a fork. Spoon the remaining apples and caramel sauce across the top. Serve and enjoy. 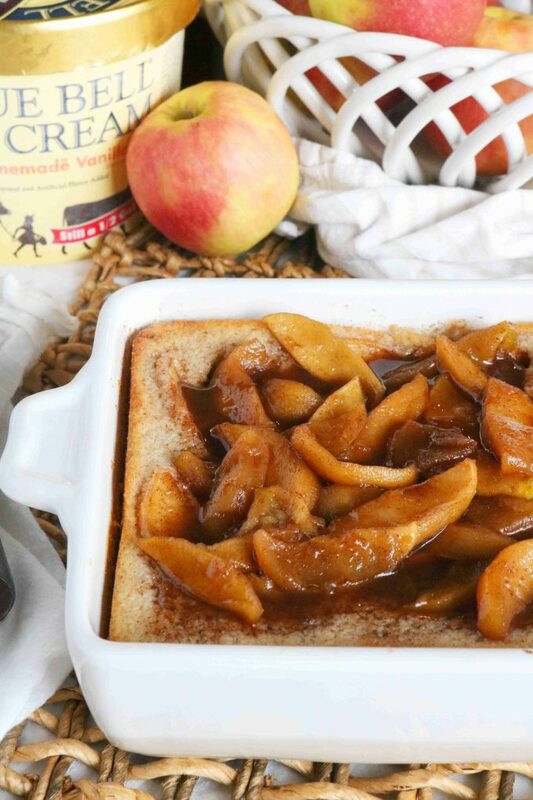 Dutch Apple Cobbler with Cheesecake Topping by Who Needs a Cape? Oh my, dish me some up please. Oooooh yes, serve me up a nice big helping with plenty of ice cream! This looks amazing! I’m pinning it for later! Oh my word, Kelly, this looks amazing. Like, it’s calling my name. I think this may have to be the first AppleWeek recipe I try this year. 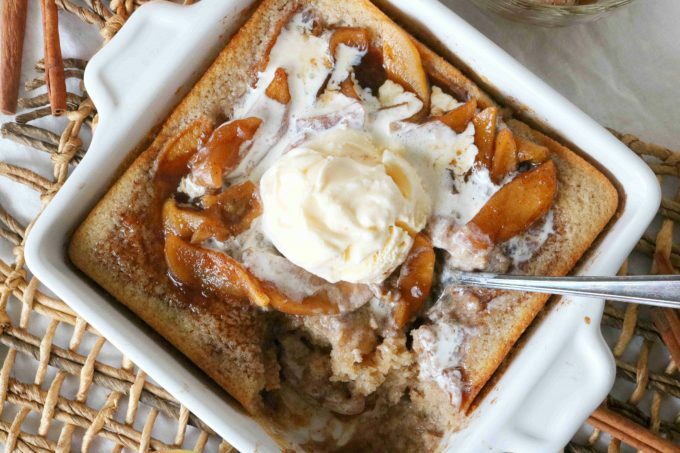 This apple pudding looks HEAVENLY. I’ve never heard of such a thing but now I want it!! Interesting apple recipe love the flavor combinations. This would be great for thanksgiving or any holidays! Wow, I want to eat it every day! I’m sure this is very tasty. This is a great recipe for me. THANK YOU! Mmm… now that I read about the difference between apple pudding and bread pudding I think I prefer the apple pudding! Excellent recipe. This is the perfect way to use up my extra apples! So good! I love the apple desserts this time of year! Such great flavors- and I agree on your choice of apple. The more firm apples with a bit of bite to them are always best. This is one of my family’s favorite desserts! Such a great recipe!